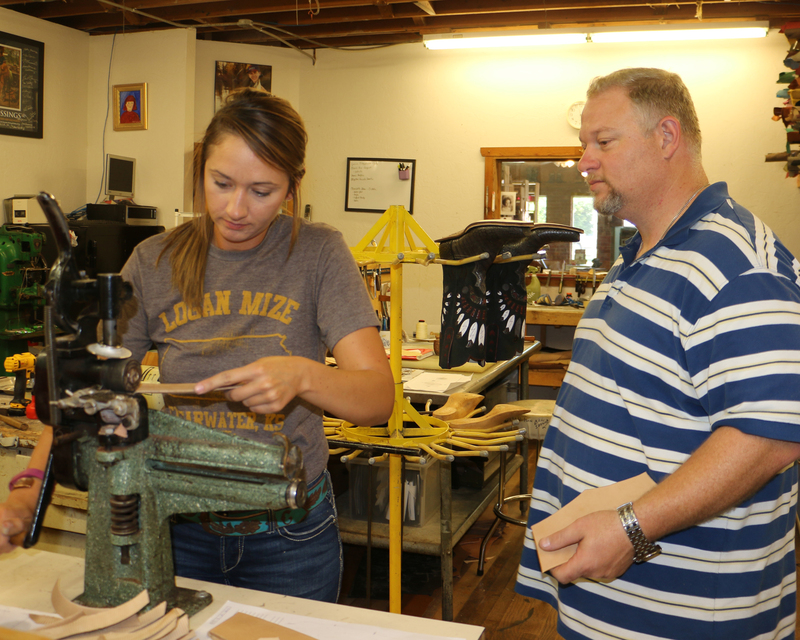 I’ve started a new cowboy boot making class with two students. 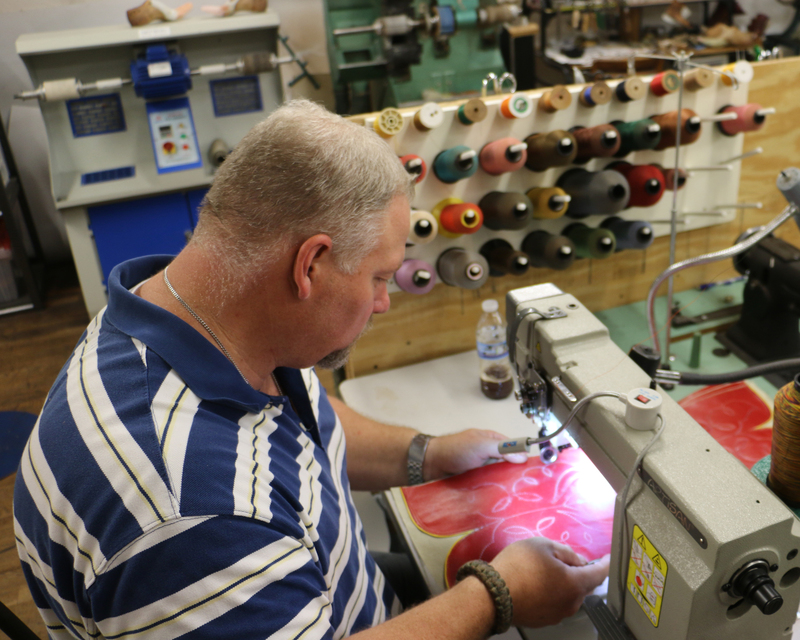 Robert stitching his boot tops. 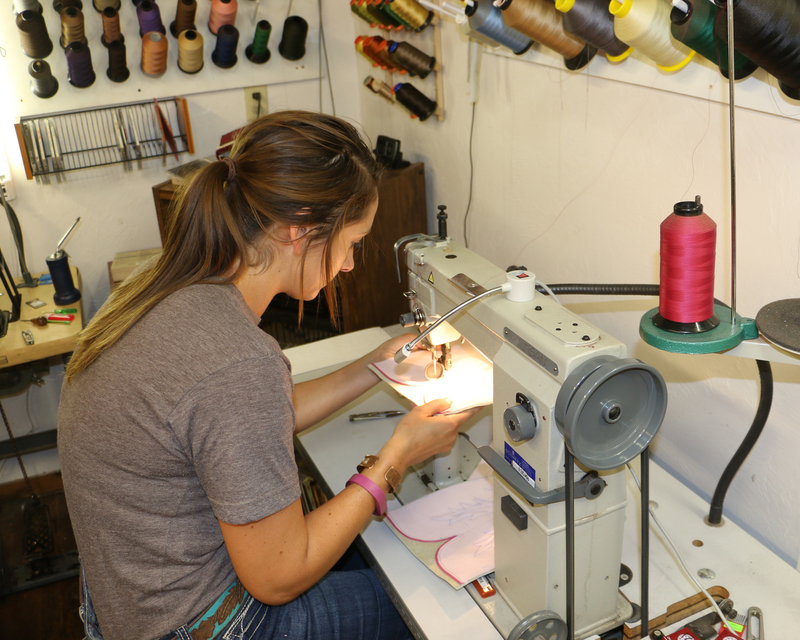 Amber stitching her boot tops. Amber and Robert making counters.